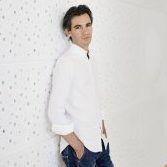 Martin Stadtfeld will be on tour in February with the Trondheim Soloists with concerts in Trondheim, Munich and Berlin. Together, he and the Norwegian ensemble perform two piano concertos of the Bach family: the Concerto in D Minor BWV 1052 by Johann Sebastian Bach and the Piano Concerto No. 6 in F Minor by his son Johann Christian Bach. He plays further concerts in Bruneck and Vaduz.